It's time to open Door Number 22 of The Cosmic Shed Advent Calendar. You know what to do. Press play wherever your browser has placed the play button and find out who our special guest is today. Alternatively, just download this and other episodes to your favourite podcast player and play at your leisure. We'll reveal the identity of our guest on the podcast or if you scroll down. Now, we don't know about you but we're firmly in the "it really doesn't matter whether it's Christmas or not, let's watch Die Hard and Star Wars" camp but there seems to be some sort of debate as to whether they are Christmas films. Well, Die Hard. Nobody think any of the Star Wars films is a Christmas film do they? The Star Wars Holiday Special has nothing to do with this episode. Behind Door Number 22 of The Cosmic Shed Advent calendar is Marc Benardin. Marc is no stranger to podcast fans and is a journalist, TV and comic book writer. He has served as film editor for the Los Angeles Times and senior editor for The Hollywood Reporter and Entertainment Weekly. to talk about villains and all things nerdy for this, our twenty second shedvent episode. 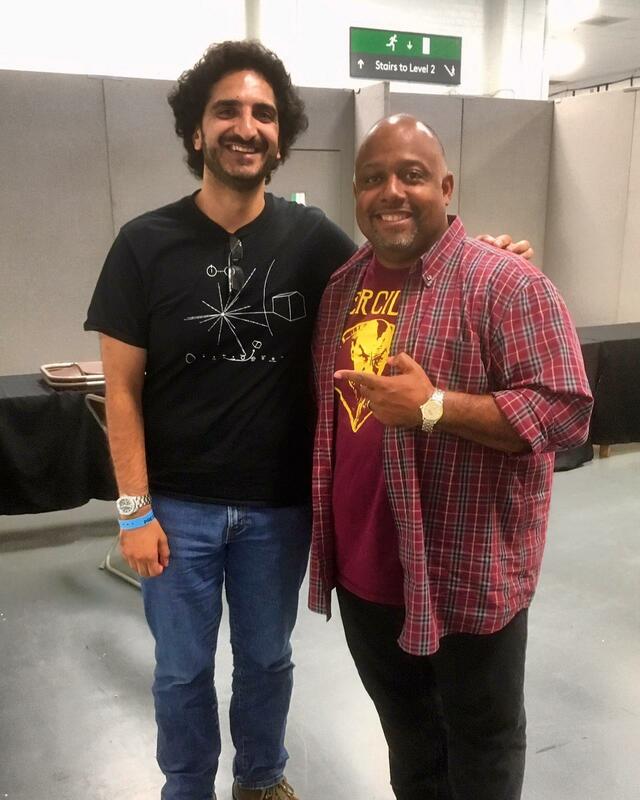 Ti and Marc met at London's Film and TV Comic Con. Ti and Marc were initially talking for Ti's book Born to be Bad which is available from all good book stores, several bad and this one owned by a man who puts rockets in space. The Guardian listed us as one of their favourite podcasts of 2018, along with things like This American Life and Caliphate. Thanks everyone. That's just truly wonderful.